That's right, it's Thursday and that can only mean one thing around these parts. 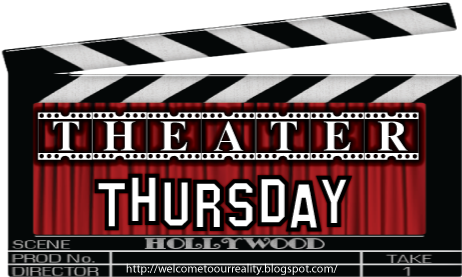 It's time for Theater Thursday! This week's featured movie is none other than Nuns on the Run! 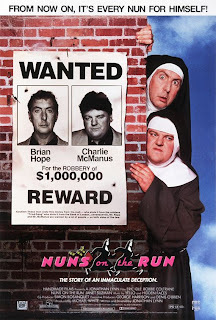 Nuns on the Run follows the lives of Brian (Eric Idle) and Charlie (Robbie Coltrane) who work for a local gangster. When their boss learns of them wanting to get out of the business, he decides to set them up to be killed. Brian and Charlie learn of their fate and decide on their last deal to steal the rival drug dealers money and escape town. However, their escape does not go as they planned. The only way for them to not get killed is to seek refuge in a nuns teacher training school disguised as nuns. 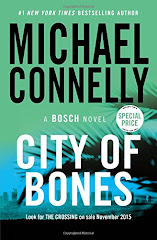 While there trying to plot out an escape they have to try to avoid their boss who wants them dead, the rival gangsters who want their money, the police and even Brian's girlfriend who's one of the most accident prone people on the planet. If you've never seen or even heard of this movie, it's definitely worth checking out. Now here's the best part. 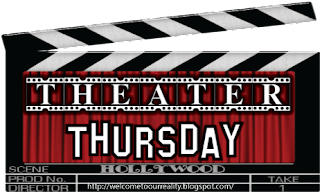 Have a movie that you love? Great! Post about it and then come here and link up. That way everyone can hear about it and have something new to watch. There's just one rule...it must be out on dvd and not in the theater. 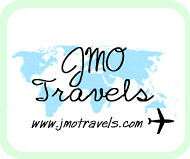 There's even a button you can grab, located on my left sidebar. Have fun! that looks soo funny, I'll have to check it out! I've never heard of this movie, but it does sound interesting. And just in case you didn't notice, I'm participating this week!